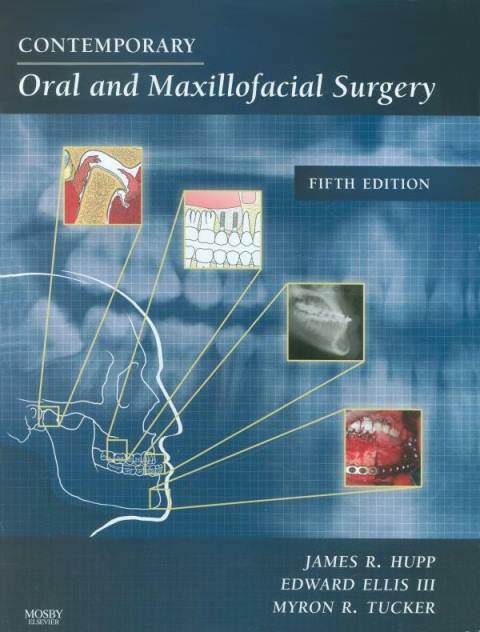 With comprehensive descriptions of the basic oral surgery procedures performed in the general practitioner’s office, Contemporary and Maxillofacial Surgery, 5th Edition is a valuable reference for any dental office. This book covers the basic concepts of evaluation, diagnosis, and patient management so that you can immediately apply these concepts to practice. Detailed photographs, line drawings and biological and technical explanations accompany the descriptions of basic techniques, and an overview provides you with a general understanding of more advanced techniques. Management of Medical Emergencies chapter provides essential information on preparing for and managing the most common emergencies that can occur in the dental office setting. Infection Control chapter describes proper cleaning and sterilization of the office environment, working surfaces, armamentarium, and personnel to help you prevent the injuries and illnesses that result from improper sterilizing and disinfecting. Suggestions for legal matters such as consent, risk management, insurance plans, and governmental rules and regulations in the Medicolegal Considerations chapter prepare you to minimize legal liabilities. Contemporary Implant Dentistry chapter reveals the latest developments in implant surgery including immediate loading as well as related complications to familiarize you with this rapidly growing area of dentistry. Consistent organization grouped by basic preparation and types of procedures helps you easily find the information you need. Comprehensive appendices offer convenient access to resources such as current price lists for key instruments, office record tips, sample drug schedules, examples of prescriptions, and consent forms. Full-color design shows soft tissues and surgical procedures in vibrant detail. Expanded content on implants, new instruments, and the latest technology help you treat your patients more effectively.